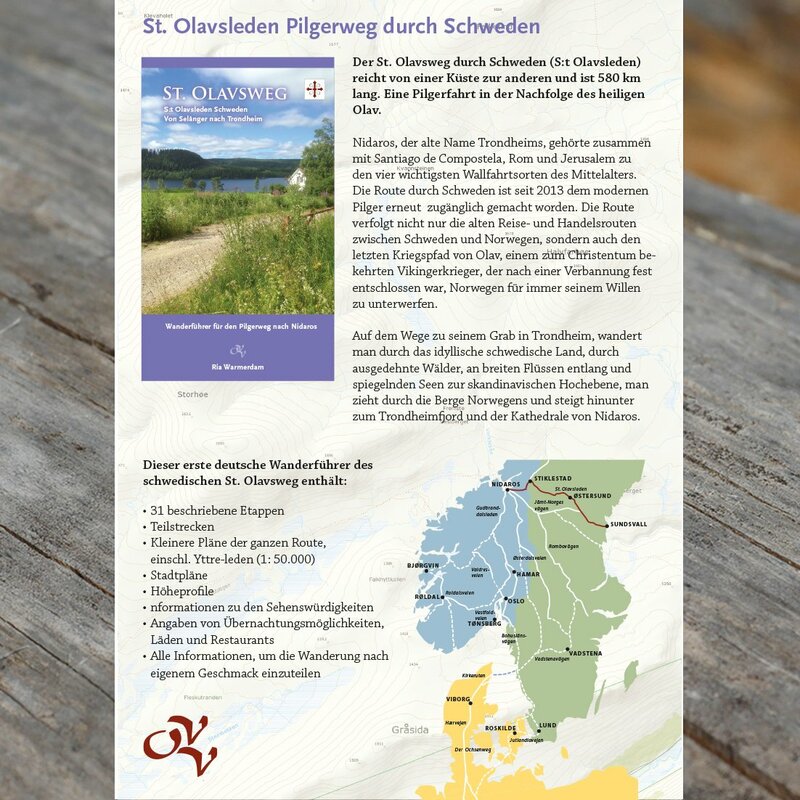 First German guide tot St. Olavsleden in full colour with lots of detailed information and beautiful photo’s. The walking guide is written by Ria Warmerdam. She’s been making long distance hikes in the UK, Ireland, France, the Alps and Scandinavia since 1990. In 1998 she walked from the Netherlands tot Santiago de Compostela. 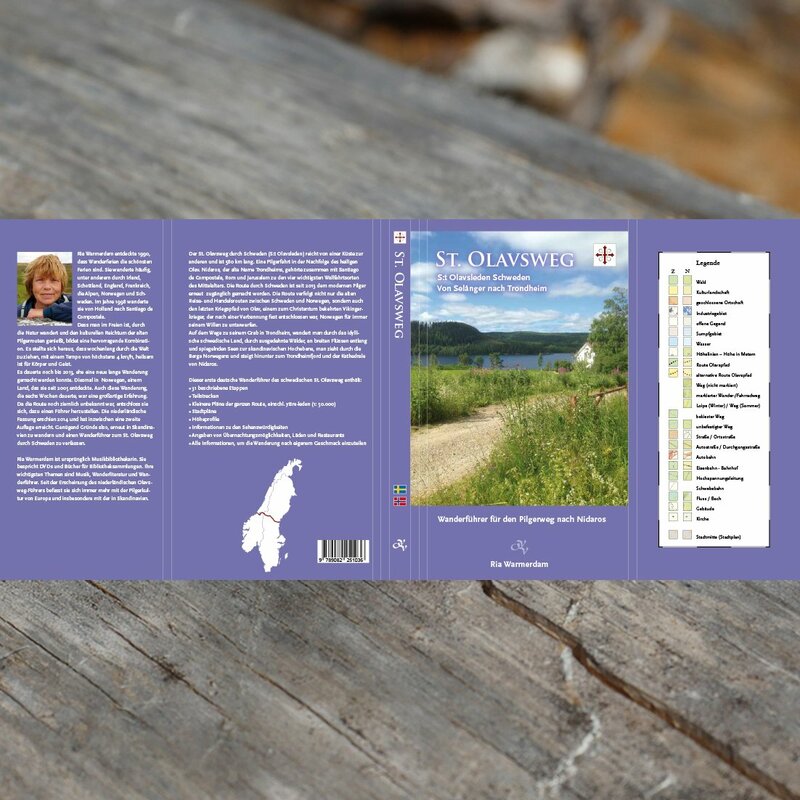 In 2013 she hiked the Gudbrandsdalsleden from Oslo to Trondheim. Because there was no recent guide available she decided to write one. It was published in 2014. 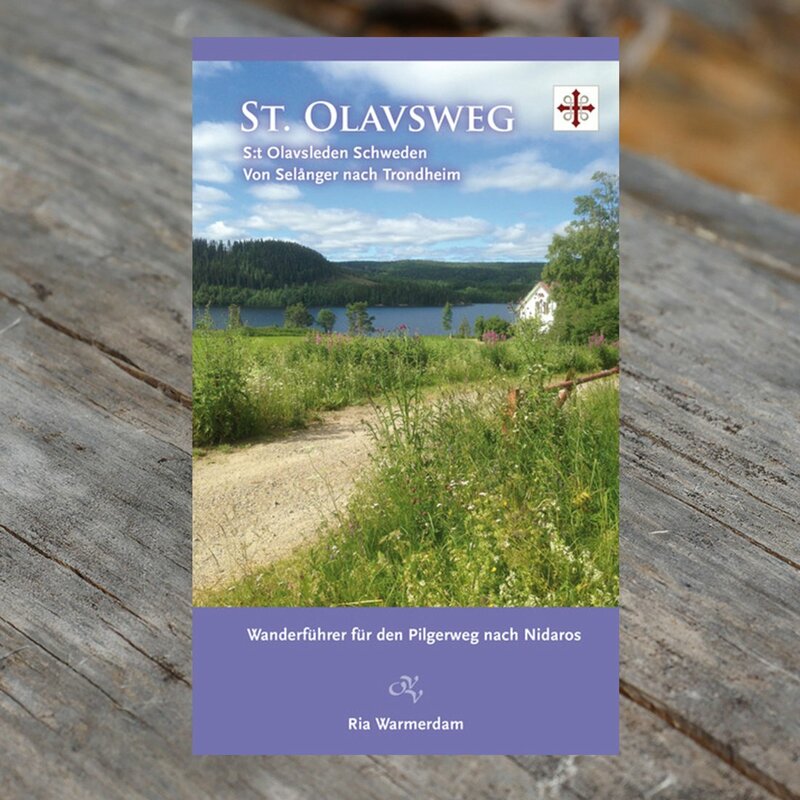 The german guide to St. Olavsleden is her third walking guide to a Scandinavian pilgrims route.